April 11, 2014 by fmgarchitects. 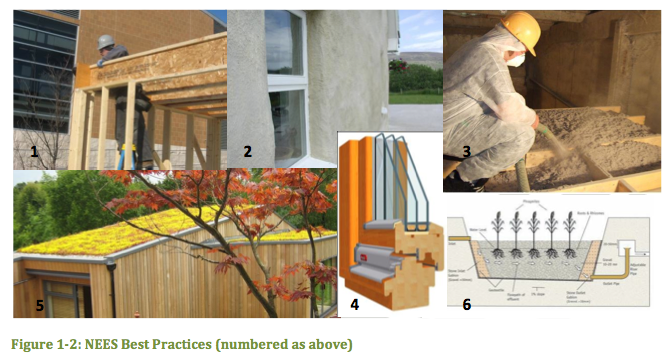 We have prepared a report in conjunction with Sustineo and Building Life Consultancy to evaluate the environmental performance of a Natural Energy Efficiency and Sustainability (NEES) demonstration project in Cloyne, Co. Cork for South Kerry Development Partnership Ltd (SKDP). The study will evaluate the performance of the proposed works and the improvement achieved using these NEES best practices, as compared to an equivalent ‘generic’ building based on standard construction (blocks and concrete) and chemical and manufactured materials and designs. The dual evaluation will examine embodied energy, impacts on human health and internal environment, mass, enbodied greenhouse gas emissions, life cycle of materials and costs.